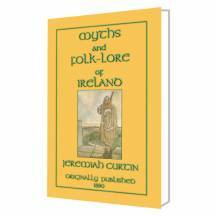 Myths and Folklore of Irelandis the first of many works published by the renowned American translator Jeremiah Curtin. The volume is comprised of twenty-three Irish myths, in which the legends of Fin MacCumhail feature prominently. While the collection includes tales of Kings, Queens, princes, and princesses, it also tells stories of tailors sons, fishermen, and many other normal folks who make good in the most surprising circumstances. More given to legend than fairy, Myths and Folklore of Ireland is better suited to adult readers. However this is not to say that they shouldnt be read to children. Once again, youre invited to curl up with a unique piece of Irish folklore and let the Gift of the Irish enchant and captivate you. 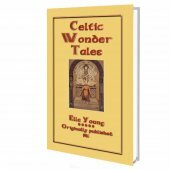 Myths and Folklore of Ireland has not been seen in print for over one hundred yearsdont miss this golden opportunity. This volume also makes an excellent companion to Legends and Stories of Ireland by Samuel Lover, also re-published by Abela Publishing as a part of its Myths, Legends and Folk Tales from Around the World series, both available for sale on this site. A percentage of the profits from this book will be donated to the Prince's Trust. NOTE: Jeremiah Curtin graduated from Harvard College in 1863. In 1864 he moved to Russia, where he worked as a translator and for the U.S. legation. He left Russia in 1877, stayed a year in London, and returned to the United States in 1878. In addition to publishing fairy tale and folklore collections, along with writings about his travels, Curtin most famously, and profitably, translated Quo Vadis in 1897. Once upon a time, it was the custom with Fin MacCumhail and the Fenians of Erin, when a stranger from any part of the world came to their castle, not to ask him a question for a year and a day. On a time, a champion came to Fin and his men, and remained with them. He was not at all pleasant or agreeable. At last Fin and his men took counsel together; they were much annoyed because their guest was so dull and morose, never saying a word, always silent. While discussing what kind of man he was, Diarmuid Duivne offered to try him; so one evening when they were eating together, Diarmuid came and snatched from his mouth the hind-quarter of a bullock, which he was picking. Diarmuid pulled at one part of the quarter, - pulled with all his strength, but only took the part that he seized, while the other kept the part he held. All laughed; the stranger laughed too, as heartily as any. It was the first laugh they had heard from him. "I have spent a pleasant year in your company; you gave me good treatment, and the least I can do now is to give you a feast at my own castle." "My name is Fear Dubh, of Alba." Fin accepted the invitation; and they appointed the day for the feast, which was to be in Erin, since Fear Dubh did not wish to trouble them to go to Alban. He took leave of his host and started for home. When the day for the feast came, Fin and the chief men of the Fenians of Erin set out for the castle of Fear Dubh. They went, a glen at a step, a hill at a leap, and thirty-two miles at a running leap, till they came to the grand castle where the feast was to be given. They went in; everything was ready, seats at the table, and every man's name at his seat in the same order as at Fin's castle. Diarmuid, who was always very sportive, - fond of hunting, and paying court to women, was not with them; he had gone to the mountains with his dogs. All sat down, except Conan Maol MacMorna (never a man spoke well of him); no seat was ready for him, for he used to lie on the flat of his back on the floor, at Fin's castle. When all were seated the door of the castle closed of itself. Fin then asked the man nearest the door, to rise and open it. The man tried to rise; he pulled this way and that, over and hither, but he couldn't get up. Then the next man tried, and the next, and so on, till the turn came to Fin himself, who tried in vain. Now, whenever Fin and his men were in trouble and great danger it was their custom to raise a cry of distress (a voice of howling), heard all over Erin. Then all men knew that they were in peril of death; for they never raised this cry except in the last extremity. Fin's son, Fialan, who was three years old and in the cradle, heard the cry, was roused, and jumped up. "Get me a sword! said he to the nurse. "My father and his men are in distress; I must go to aid them." "What could you do, poor little child." Fialan looked around, saw an old rusty sword-blade laid aside for ages. He took it down, gave it a snap; it sprang up so as to hit his arm, and all the rust dropped off; the blade was pure as shining silver. "This will do, said he; and then he set out towards the place where he heard the cry, going a glen at a step, a hill at a leap, and thirty-two miles at a running leap, till he came to the door of the castle, and cried out. Fin answered from inside, "Is that you, my child?" "I heard your cry, and how could I stay at home, hearing the cry of my father and the Fenians of Erin!" "Oh, my child, you cannot help us much." Fialan struck the door powerfully with his sword, but no use. Then, one of the men inside asked Fin to chew his thumb, to know what was keeping them in, and why they were bound. Said Fin to Fialan: "Do you go now, and stand at the ford near the castle, and meet Fear Dubh." Fialan went and stood in the middle of the ford. He wasn't long there when he saw Fear Dubh coming with a great army. "Leave the ford, my child, said Fear Dubh, who knew him at once. "I have not come to harm your father. I spent a pleasant year at his castle. I've only come to show him honour." "I know why you have come, answered Fialan. You've come to destroy my father and all his men, and I'll not leave this ford while I can hold it." "Leave the ford; I don't want to harm your father, I want to do him honour. If you don't let us pass my men will kill you, said Fear Dubh. "I will not let you pass so long as I 'm alive before you, said Fialan. The men faced him; and if they did Fialan kept his place, and a battle commenced, the like of which was never seen before that day. Fialan went through the army as a hawk through a flock of sparrows on a March morning, till he killed every man except Fear Dubh. Fear Dubh told him again to leave the ford, he didn't want to harm his father. "Oh! said Fialan, "I know well what you want." "If you don't leave that place I'll make you leave it said Fear Dubh. Then they closed in combat; and such a combat was never seen before between any two warriors. They made springs to rise through the centre of hard gray rocks, cows to cast their calves whether they had them or not. Then Fialan went to the door of the castle and told his father what he had done. All the horses of the country were racing about and neighing in dread and fear, and all created things were terrified at the sound and clamour of the fight till the weapons of Fear Dubh went to pieces in the struggle, and Fialan made two halves of his own sword. Now they closed in wrestling. In the first round Fialan put Fear Dubh to his knees in the hard bottom of the river; the second round he put him to his hips, and the third, to his shoulders. "Now, said he, "I have you," giving him a stroke of the half of his sword, which cut the head off him. Fin chewed his thumb again, and knew what other danger was coming. "My son, said he to Fialan, "Fear Dubh has a younger brother more powerful than he was; that brother is coming against us now with greater forces than those which you have destroyed." As soon as Fialan heard these words he hurried to the ford, and waited till the second army came up. He destroyed this army as he had the other, and closed with the second brother in a fight fiercer and more terrible than the first; but at last he thrust him to his armpits in the hard bottom of the river and cut off his head. Then he went to the castle, and told his father what he had done. A third time Fin chewed his thumb, and said: "My son, a third army more to be dreaded than the other two is coming now to destroy us, and at the head of it is the youngest brother of Fear Dubh, the most desperate and powerful of the three."  Again Fialan rushed off to the ford; and, though the work was greater than before, he left not a man of the army alive. Then he closed with the youngest brother of Fear Dubh, and if the first and second battles were terrible this was more terrible by far; but at last he planted the youngest brother up to his armpits in the hard bottom of the river, and swept the head off him. Now, after the heat and struggle of combat Fialan was in such a rage that he lost his mind from fury, not having any one to fight against; and if the whole world had been there before him he would have gone through it and conquered it all. But having no one to face him he rushed along the river-bank, tearing the flesh from his own body. Never had such madness been seen in any created being before that day. Diarmuid came now and knocked at the door of the castle, having the dog Bran with him, and asked Fin what had caused him to raise the cry of distress. "Oh, Diarmuid, said Fin, "we are all fastened in here to be killed. Fialan has destroyed three armies and Fear Dubh with his two brothers. He is raging now along the bank of the river; you must not go near him, for he would tear you limb from limb. At this moment he wouldn't spare me, his own father; but after a while he will cease from raging and die down; then you can go. The mother of Fear Dubh is coming, and will soon be at the ford. She is more violent, more venomous, more to be dreaded, a greater warrior than her sons. The chief weapon she has are the nails on her fingers; each nail is seven perches long, of the hardest steel on earth. She is coming in the air at this moment with the speed of a hawk, and she has a kan (a small vessel), with liquor in it, which has such power that if she puts three drops of it on the mouths of her sons they will rise up as well as ever; and if she brings them to life there is nothing to save us. Go to the ford; she will be hovering over the corpses of the three armies to know can she find her sons, and as soon as she sees them she will dart down and give them the liquor. You must rise with a mighty bound upon her, dash the kan out of her hand and spill the liquor. "If you can kill her save her blood, for nothing in the world can free us from this place and open the door of the castle but the blood of the old hag. I'm in dread you'll not succeed, for she is far more terrible than all her sons together. Go now; Fialan is dying away, and the old woman is coming; make no delay." Diarmuid hurried to the ford, stood watching a while; then he saw high in the air something no larger than a hawk. As it came nearer and nearer he saw it was the old woman. She hovered high in the air over the ford. At last she saw her sons, and was swooping down, when Diarmuid rose with a bound into the air and struck the vial a league out of her hand. The old hag gave a shriek that was heard to the eastern world, and screamed: "Who has dared to interfere with me or my sons?" "I, answered Diarmuid; and you'll not go further till I do to you what has been done to your sons." The fight began; and if there ever was a fight, before or since, it could not he more terrible than this one; but great as was the power of Diarmuid he never could have conquered but for Bran the dog. The old woman with her nails stripped the skin and flesh from Diarmuid almost to the vitals. But Bran tore the skin and flesh off the old woman's back from her head to her heels. "Oh, Diarmuid, take strength; rise and sweep the head off the old hag, or Fin and the Fenians of Erin are no more." Diarmuid took courage, and with his last strength made one great effort, swept the head off the old hag and caught her blood in a vessel. He rubbed some on his own wounds, - they were cured; then he cured Bran. 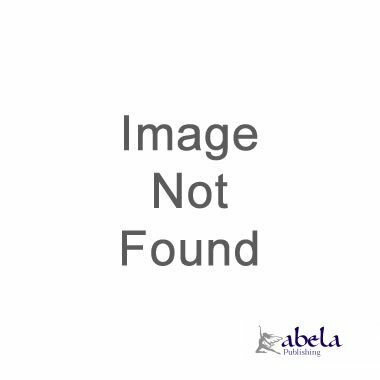 Straightway he took the blood to the castle, rubbed drops of it on the door, which opened, and he went in. All laughed with joy at the rescue. He freed Fin and his men by rubbing the blood on the chairs; hut when he came as far as Conan Maol the blood gave out. All were going away. "Why should you leave me here after you;" cried Conan Maol, "I would rather die at once than stay here for a lingering death. Why don't you, Oscar, and you, Gol MacMorna, come and tear me out of this place; anyhow you'll be able to drag the arms out of me and kill me at once; better that than leave me to die alone." Oscar and Gol took each a hand, braced their feet against his feet, put forth all their strength and brought him standing; but if they did, he left all the skin and much of the flesh from the back of his head to his heels on the floor behind him. He was covered with blood, and by all accounts was in a terrible condition, bleeding and wounded. Now there were sheep grazing near the castle. The Fenians ran out, killed and skinned the largest and best of the flock, and clapped the fresh skin on Conan's back; and such was the healing power in the sheep, and the wound very fresh, that Conan's back healed, and he marched home with the rest of the men, and soon got well; and if he did, they sheared off his back wool enough every year to make a pair of stockings for each one of the Fenians of Erin, and for Fin himself. And that was a great thing to do and useful, for wool was scarce in Erin in those days. Fin and his men lived pleasantly and joyously for some time; and if they didn't, may we.